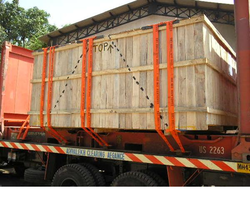 we do all types of vehicles lashing in Export containers and domestic trucks. we safe your valuable vehicles. Flat Rack (F.R) Container Lashing Works. Cargo net in different sizes available which can be used in containers and trucks for supporting your cargo and to avoid damage while unloading. 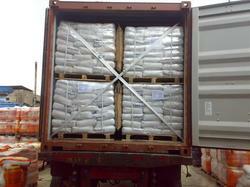 We are offering Container Lashing to our client. Use For Lashing / Size Of Trailer: 20"/40"
Our company holds vast experience in this domain and is involved in offering Export Lashing Service.